Have fun with arts in your parks! 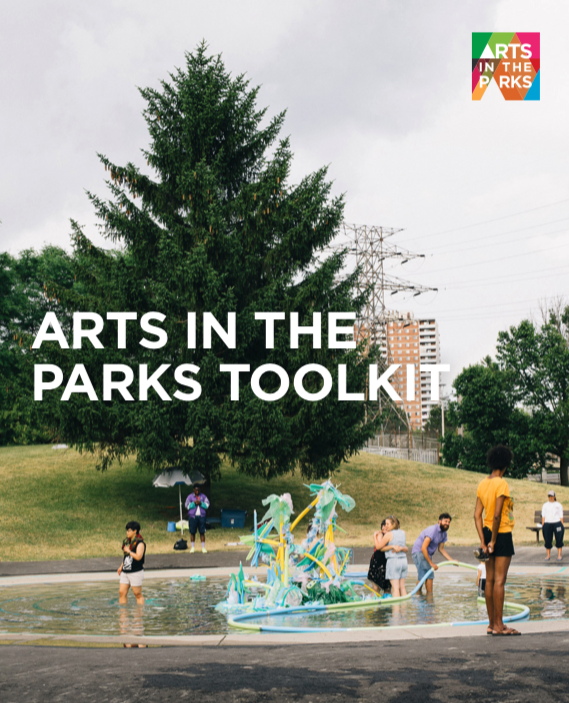 Toronto Arts Foundation, in partnership with the Ontario Trillium Foundation, is sharing its expertise animating local parks with the launch of the new Arts in the Parks Toolkit. This in-depth online resource is aimed at helping community organizations and municipalities plan their own arts events in parks. AITP is a strategic initiative of Toronto Arts Foundation in partnership with Toronto Arts Council, City of Toronto Parks, Forestry and Recreation, and Park People. Launched in 2016 by the Toronto Arts Foundation (TAF), Arts in the Parks (AITP) is a free, annual, summer-long initiative that brings arts events to more than 30 parks in every corner of the city, from Etobicoke to Scarborough to North York to the downtown core. Family-friendly events include outdoor theatre performances, music concerts, film nights, and workshops for kids and their families. Four summers later, the success of the program has been remarkable – to date, AITP has animated 55 parks with nearly 600 artist-produced events, reaching 331,000 people in neighbourhoods across the city. Toronto Arts Foundation’s research reveals that the arts have much to offer communities. Programs like Arts in the Parks encourage people to explore their own creativity, enjoy parks in a new way, and enliven their neighbourhoods and their lives. The toolkit, which can be accessed on the TAF website and also downloaded as a PDF, is a guide to help navigate the logistical, financial, and artistic considerations involved in producing arts events in parks and other public spaces, including sections on planning, partnerships, fundraising, outreach and engagement, communications, and evaluation – all in an accessible, easy-to-read format that includes key statistics, case studies, and useful tips. The toolkit can be used by large and small communities alike and will be shared widely through Ontario Trillium Foundation’s Knowledge Centre. Have an events listing you'd like to include? Add it here. It’s free! © Copyright 2019 Toronto Arts Foundation. - All Rights Reserved. Developed by BFdesign Inc.
Disclaimer: Arts in the Parks TO is a free listing service for Toronto Arts Council-funded and other arts and culture events. Toronto Arts Foundation, Toronto Arts Council, and Arts in the Parks TO assume no responsibility for the accuracy of the content provided in this calendar nor does inclusion in the calendar constitute endorsement of non-Toronto Arts Council-funded events. All listing details are submitted by event organizers. To confirm any information, please contact the organizers directly.